So totally Star Wars! Looks like a life pod. Freaky, really freaky. Makes you wonder- what were we thinking? 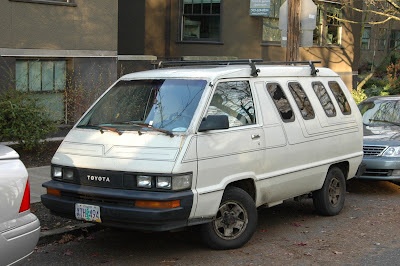 Haha, those windows.....80's Japanese shaggin' wagon. Man, I've always wanted one of those funky mid-engine Toyota vans. Screaming 80s. Looks like a mini Hino from the front. 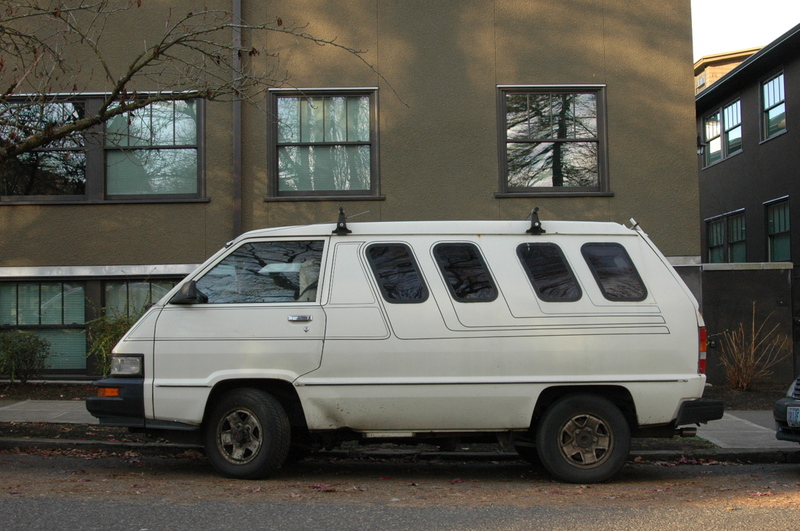 My ideal combination would be a cargo van, 4WD, 5-speed diesel. 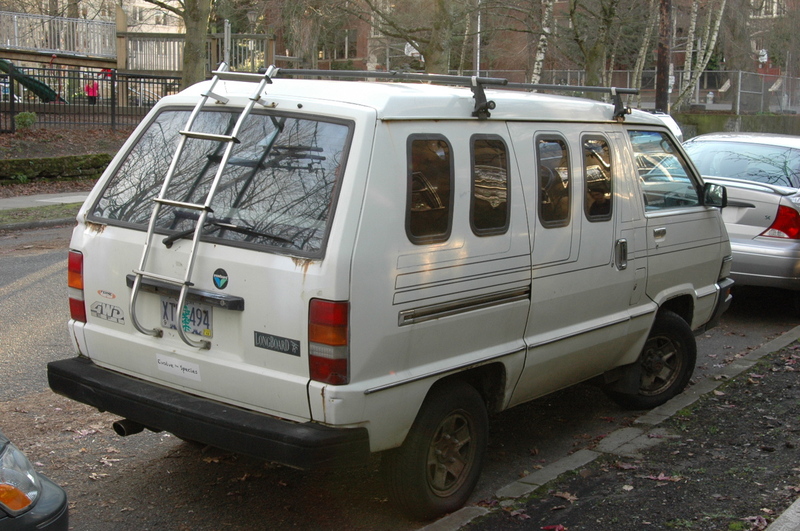 Probably exists in Japan, but it would be RHD. This is one of those vehicles that I wanted since the day I first saw one. I didn't even have my drivers license when they sold these, but I wanted one. You rarely see these anymore, at least out east where they've mostly all been rusted out and crushed.